A few days ago, a Finnish librarian I know posted a picture on Facebook of several people reading while riding public transportation. Only one person was reading a physical book, and my friend mused about the future of libraries. Ever the optimist, I suggested to her that the future will involve librarians providing virtual reference, ebook lending, access to databases, and physical support for necessary technology. 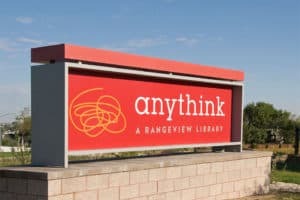 While I firmly believe we’ll have brick-and-mortar libraries with hard-copy books on the shelves for quite some time, I—like most of us—know that library service is changing. To help us prepare for these transformations, this issue’s roundup offers information on books that can offer support. In No Shelf Required 2: Use and Management of Electronic Books, Sue Polanka, author of a popular blog on ebooks called No Shelf Required, has assembled 16 essays that address practical aspects of integrating electronic books into our collections. Several of these essays are case studies of how libraries have created innovative programs using ebooks, such as establishing creative zones for patron publishing. Other essays touch on such traditional library issues as preservation and weeding. These essays will not be the last word, so there is even an essay on how to experiment and continue to learn about these new formats. 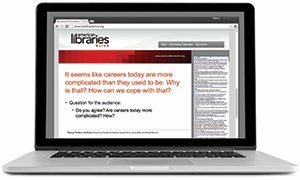 In Electronics Resources Management in the Academic Library: A Professional Guide, Karin Wikoff explains what skills are needed to manage the growing repositories of electronic resources. The author, who is the electronic and technical services librarian at Ithaca (N.Y.) College Library, goes beyond ebooks, focusing on the subscription databases that offer full-text options and e-journals. Wikoff also writes about how to provide authenticated access, evaluate licensing, track use, and develop evaluative mechanisms. Walt Crawford’s Librarian’s Guide to Micropublishing: Helping Patrons and Communities Use Free and Low-Cost Publishing Tools to Tell Their Stories incorporates the author’s experience with library technology over several decades and his extensive publishing in both print and online forms, through his web journal, Cites & Insights. People have always been interested in telling their story or capturing the family histories to pass along to future generations. 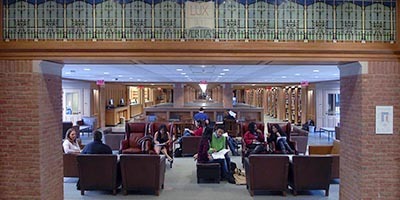 Many times people have turned to their library as they create or discover their history, and it should be no surprise that they will often turn to the library for help in publishing their work. As with the Polanka book noted above, some libraries have even established creative zones for local authors. Crawford provides a pragmatic guide to helping library users prepare copy for production, whether into an ebook or a limited-run print book. Going Mobile: Developing Apps for Your Library Using Basic HTML Programming, by Scott La Counte, is an introduction to the basics of apps, along with descriptions of several open-source options for developing one’s ideas for extending library service to smartphone users. 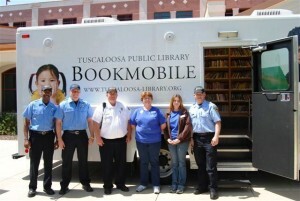 If libraries are going to offer more digital services and our phones are getting “smarter,” it’s only a matter of time before patrons will want access to library services on the go. According to the author, there are precious few library apps, with a key reason for that being absence of skill with programming tools necessary for development. This is a practical guide to creating a simple app, starting with developing a concept to testing and evaluating its performance. 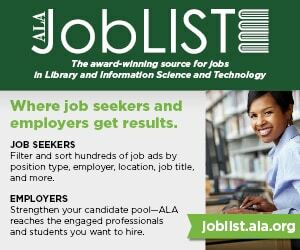 The Cybrarian’s Web: An A–Z Guide to 101 Free Web 2.0 Tools and Other Resources, by Cheryl Ann Peltier-Davis, extends the toolkit a library may use to offer new services to visitors. Some of those listed have been with us for some time, but others are new (at least to me) or have applications to library work that might not be obvious. The collection includes productivity tools such as AbiWord and Zotero, several search engines, photo and video hosting services, and social networking apps. As suggested by one of the essayists in the Polanka book mentioned above, if we are going to transform our services, then experimenting with new options is a necessary part of moving forward. An appendix includes tips on how to keep current. Finally, a dose of legal reality. Using new technologies and applications appropriately requires understanding of the permissions and limitations of the law. In The Digital Librarian’s Legal Handbook, lawyer and library school professor John N. Gathegi explores the intellectual property issues of digital content. Chapters cover such issues as content ownership, acquiring rights, licensing of music, digital rights management systems, rights to make derivative works, and the complexities of copyright infringement.